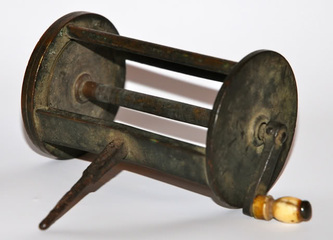 WANTED: Ancient reels including early spike winches, victorian winches with engraved maker's name and street address. 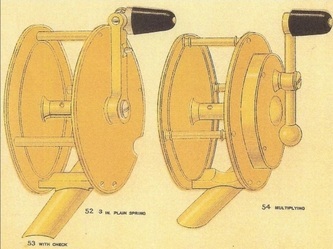 WANTED: Early brass winches - old as they come- 17th , 18th and 19th century! 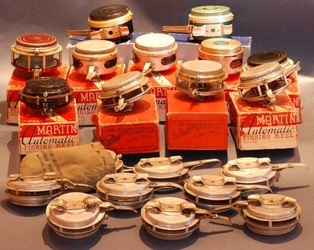 Olde folding handle reels! 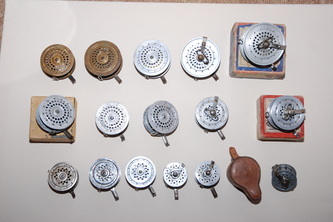 WANTED: Old automatic reels including Yawman & Erbe (early serial numbers), Loomis & Plumb, brass, nickel, hard rubber. 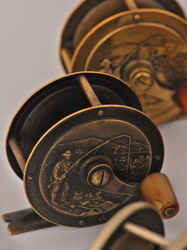 WANTED: Heaton reels like this Fisherman scene winch, with or without clicker, with fine pressing details - genuine items only. 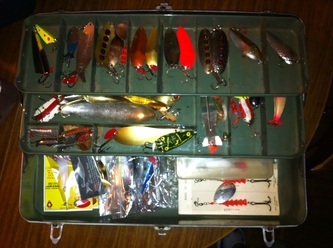 WANTED: Old Lures, especially Canadian (AL&W) or upstate New York metal baits (Chapman). Old wooden lures (CCBCO) in boxes.